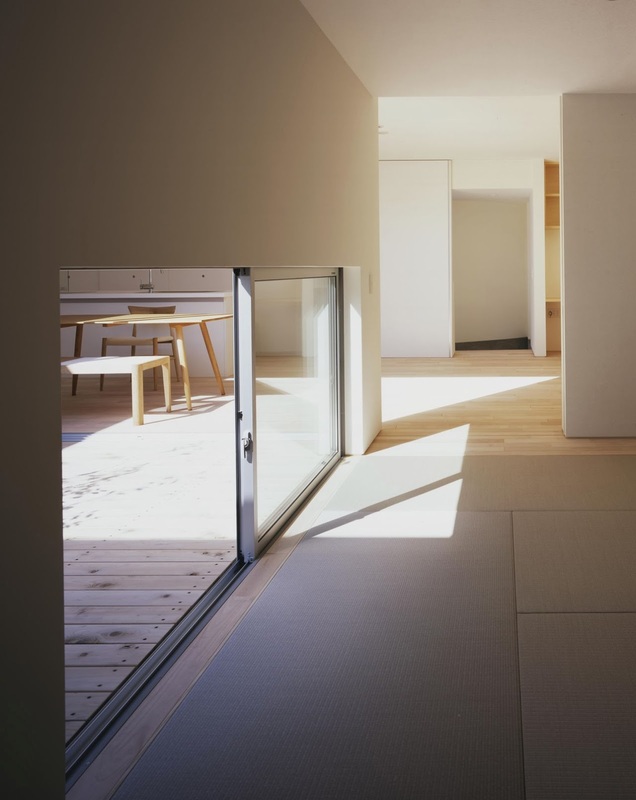 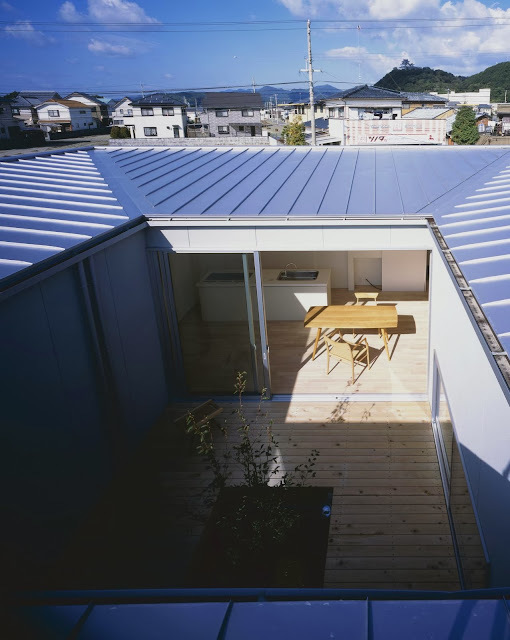 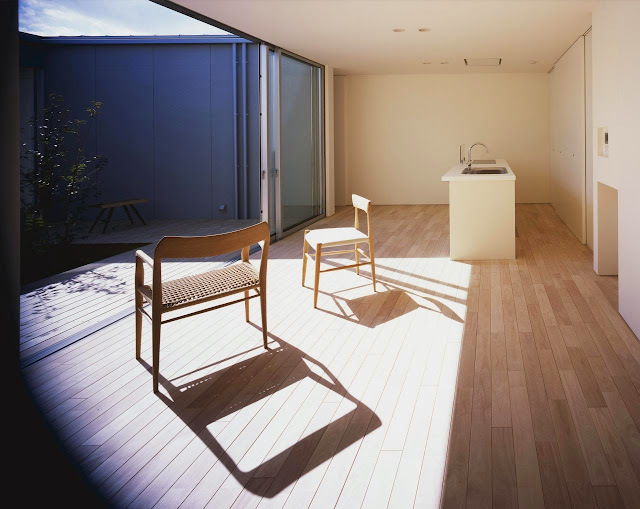 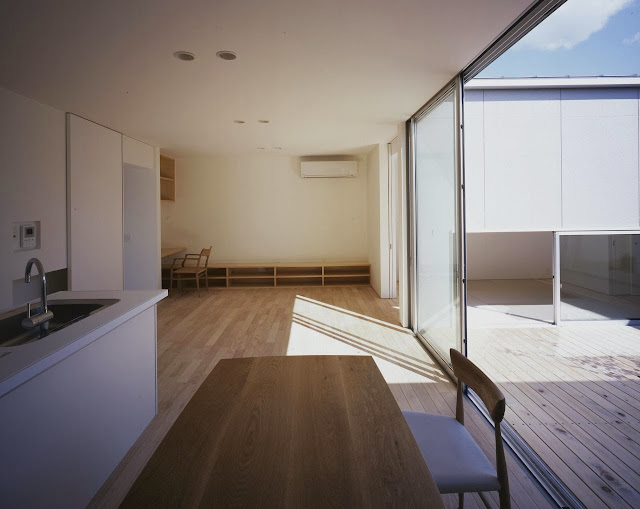 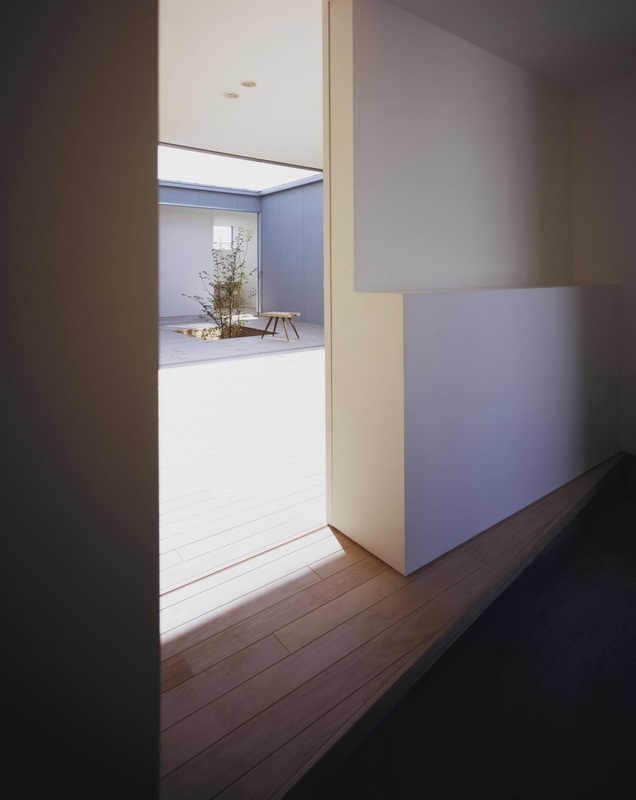 This family house in Naruto-Shi, Tokushima, Japan designed by Naoko Horibe + Horibe Associates responds to its flood-prone site with simplicity. 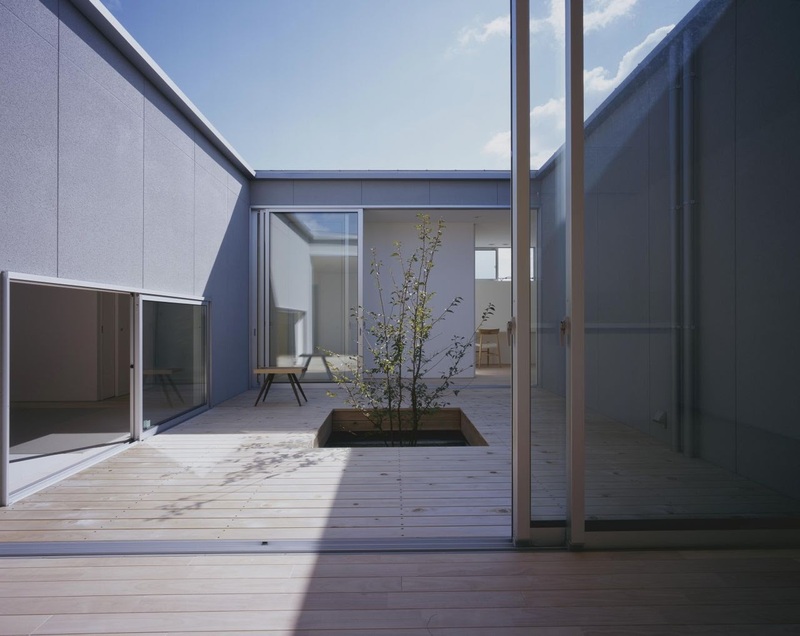 Its structure sits on raised foundations and its layout is organised around a large open air courtyard that enforces privacy. 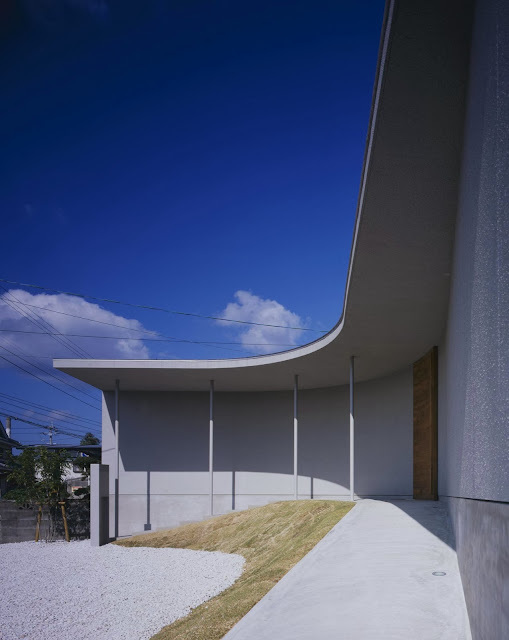 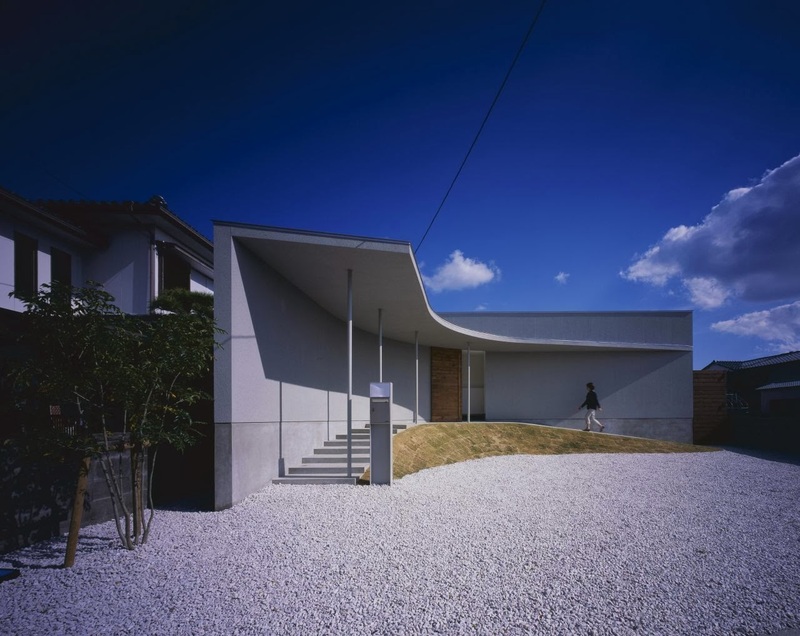 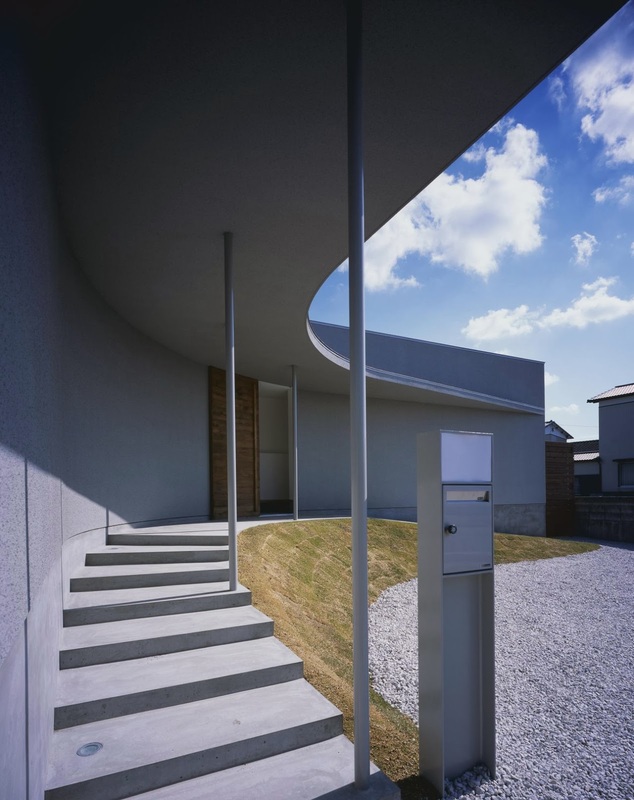 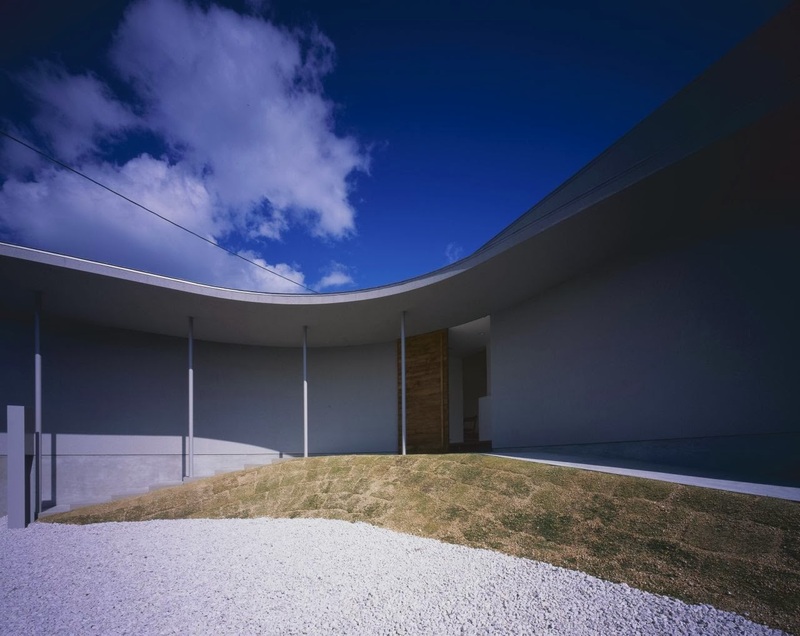 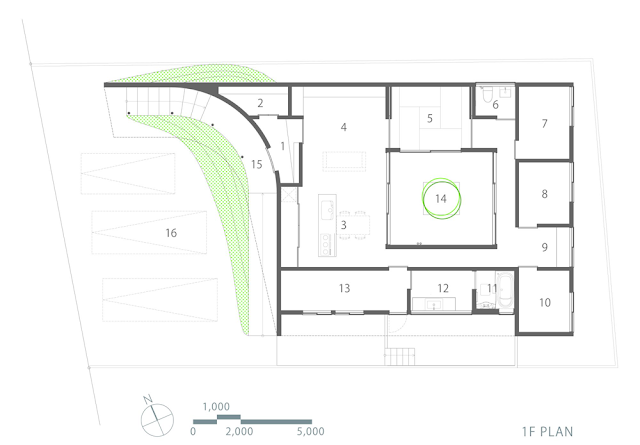 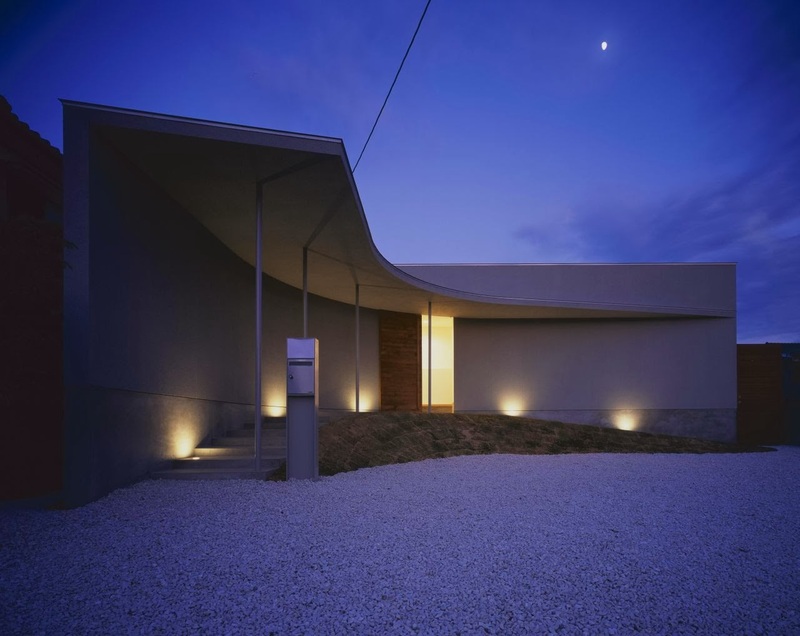 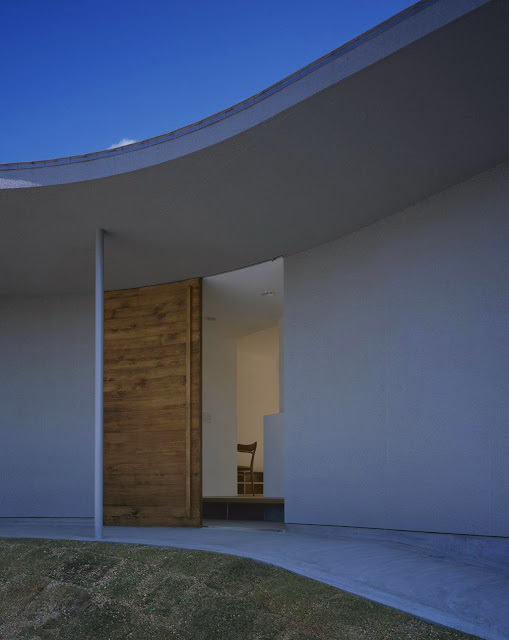 The entrance of the house has an amazing characteristic sweeping curved front with narrow pillars. 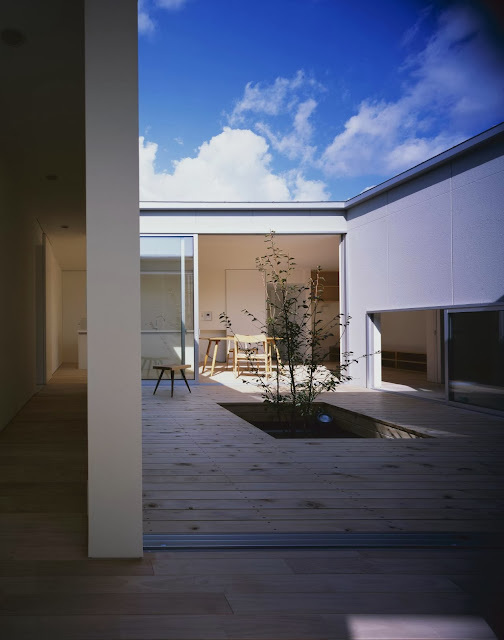 The property where this residence stands is occasionally flooded during heavy rains. The clients requested a design that dealt with the problem, as well as providing security, privacy, good natural light and air circulation, and a space that their children could run around in. In response the architect proposed locating a large courtyard in the center of the house that would let in light and air without sacrificing privacy. 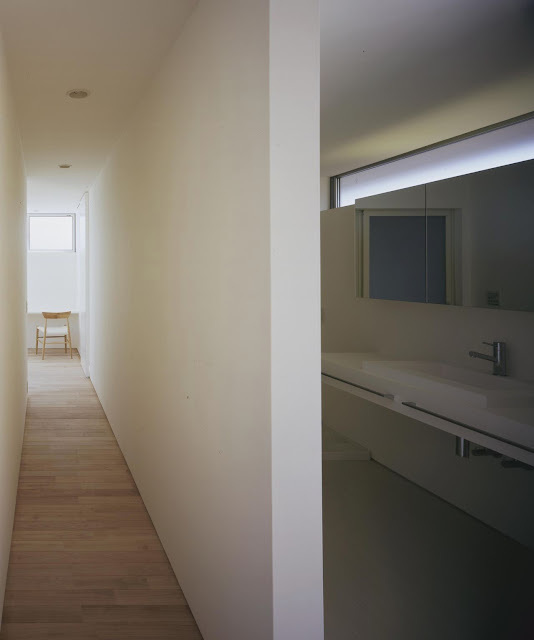 Taking the flood risk into consideration, the foundation and floor are fairly high. 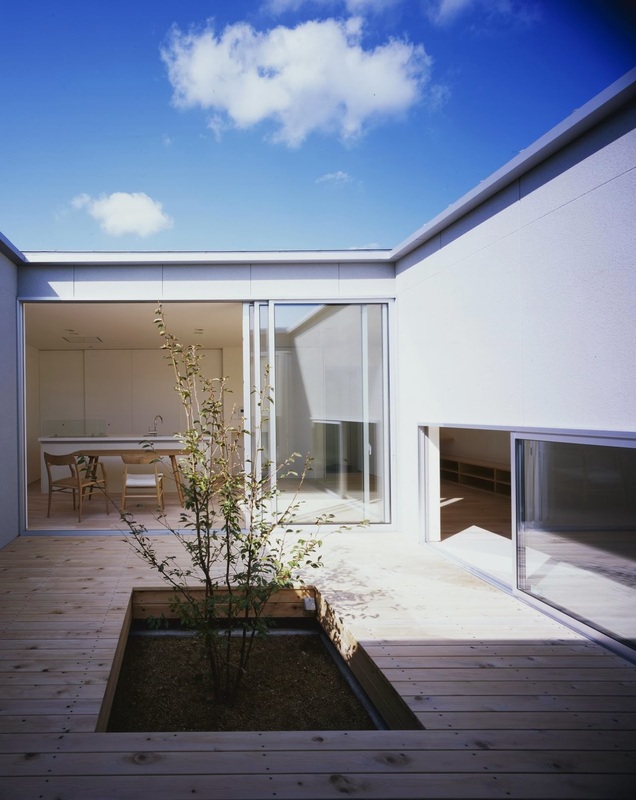 The rooms are linked in a loop around the central courtyard, creating a space where the kids can run around and around.